HTC hosted its Double Exposure media event earlier today in which the company unveiled its latest smartphone, the HTC Desire Eye. Looking to capitalize on the selfie craze sweeping the nation, the standout features of the new phone are its cameras – a pair of 13-megapixel shooters with dual-color LED flashes. While the two cameras do share the same effective resolution, they are a bit different. The one on the rear uses a 28mm lens with an f/2.0 aperture while the front-facing camera consists of a wider 20mm lens for selfies and an f/2.2 aperture. 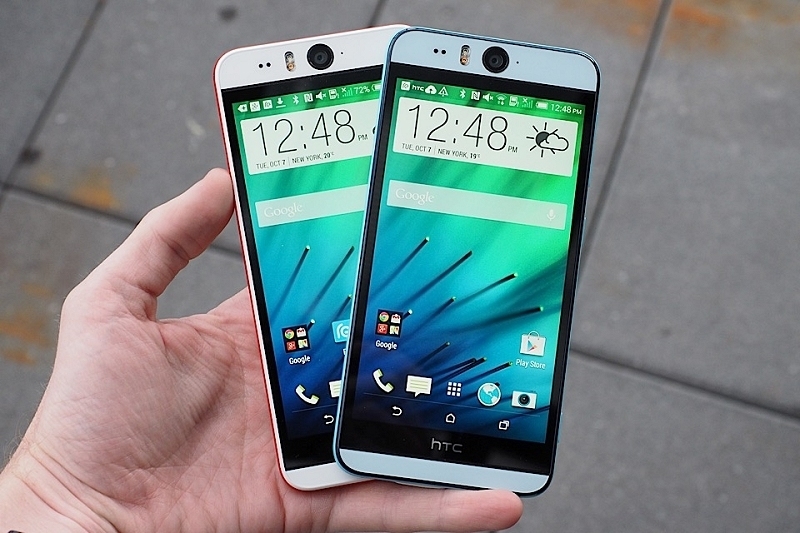 Looking past the cameras for a moment, the HTC Desire Eye includes a 5.2-inch display operating at 1,920 x 1,080 (424 PPI), a quad-core Snapdragon 801 processor clocked at 2.3GHz, 2GB of RAM and 16GB of built-in flash storage (expandable via microSD card slot). Elsewhere, the phone features HTC’s trademark BoomSound speaker system, LTE connectivity, dual-band 802.11 a/b/g/n/ac Wi-Fi, Bluetooth 4.0 with aptX, NFC and a micro USB port. It also carries an IPX7 certification meaning it can withstand being under up to a meter of water for half an hour without incident. It’ll ship running Android 4.4 with the latest Sense software and draw power from a 2,400mAh battery. Look for it to arrive in your choice of red or blue color schemes exclusively through AT&T. No word yet on exactly when the Eye will be available or how much it’ll set you back.